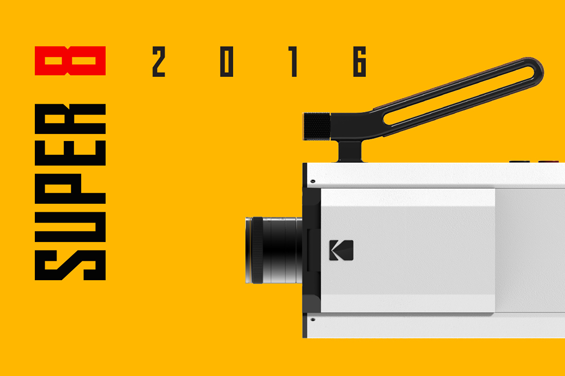 Just weeks after Super 8mm celebrated it’s half century, Kodak launch their first new Super 8 camera since 1982. The Kodak Super 8 Camera, which was unveiled in prototype yesterday at the Consumer Electronics Show in Las Vegas, combines digital and analogue technologies. There is a digital view finder, USB and SD ports but of course also space for a super 8mm cartridge. To complement the release of the camera, Kodak have also introduced new processing packages as part of their ‘Super 8 Filmmaking Revival Initiative‘, whereby customers developing their negative with Kodak will receive their film as a Super 8mm print and as a digital version. The design feels like a Kodak camera, with designer Yves Béhar drawing on the look and feel of Kodak’s first models from 1965. The camera will also have interchangeable lenses. While the price point of the limited edition version this autumn is not yet fixed (but estimated between $400-$750), Jeff Clarke CEO of Kodak anticipates releasing a less expensive model in 2017.